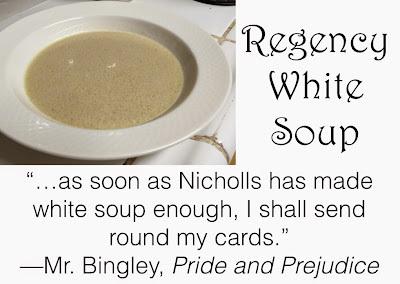 I then found these two fascinating articles on white soup from the Jane Austen Centre and the Austenonly blog. I decided to try making it! I followed the recipe from the book by John Farley, published in 1811, The London Art of Cookery and Domestic Housekeepers' Complete Assistant : uniting the principles of elegance, taste, and economy : and adapted to the use of servants, and families of every description. You can download the scan of the original book from the link. 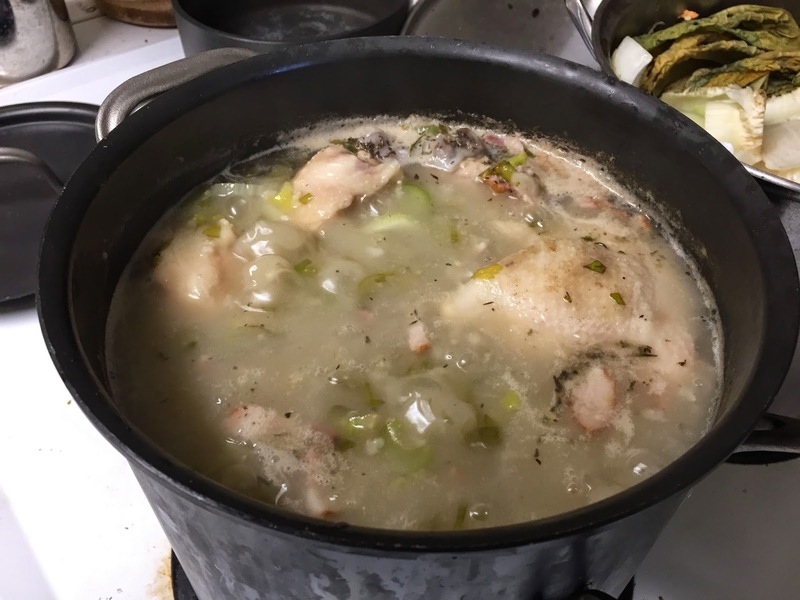 PUT a knuckle of veal into six quarts of water, with a large fowl, a pound of lean bacon, half a pound of rice, two anchovies, a few pepper-corns, a bundle of sweet herbs, two or three onions, and three or four heads of celery cut in slices. Stew all together, till the soup is as strong as you would have it, and then strain it through a hair sieve into a clean earthen pot: let it stand all night, skim off the fat, and pour it into a stewpan. Put in half a pound of Jordan almonds beat fine, simmer a little, and run it through a tamis: add a pint of cream and the yolk of an egg, and send it up hot. A handful of minced fresh basil. I wanted to also add fresh thyme but didn’t have any, so I added a teaspoon of dried thyme. I put everything but the almonds, egg, and cream in my stock pot on high heat, raised it to a boil, then put the heat to medium and simmered it. My stock pot was extremely full—in fact, I kept back one of the celery bunches and let the soup simmer for about an hour to reduce the water volume, then added the rest of the celery. I wasn’t entirely sure how long is “as strong as you would have it,” so I looked it up in my Williams-Sonoma cookbook, which said that a typical meat stock takes about 3.5-4 hours of simmering, partially covered. So I simmered for 4 hours, partially covered. The soup got thick pretty quick, probably from the rice, so that it was more like a stew than a soup. Also, like when you make rice on the stovetop, the bottom burned. Sigh. I should have expected that. I strained the solids only through a metal colander, and then I forgot to put the soup in the fridge to let the fats solidify on the top so I could skim it off. Sigh again. I was a bit surprised at how little soup there was, but then I’d looked at how much solids I had, and it made more sense. Put 1/4 pound of raw almonds in my blender with 1/3 cup water and pulsed until it was all ground up, then added that to the soup. 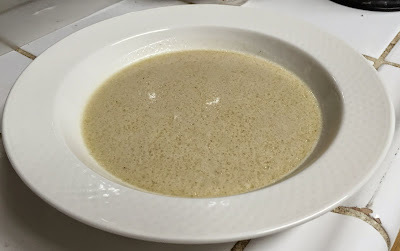 In hindsight, I should have used blanched almonds so the soup would be more “white.” I then brought it to a boil and simmered it, covered, for 15 minutes. Strained the almonds using a wire strainer, which was a rather tedious process. Belatedly put in the fridge to solidify the fats so I could skim them off. I whisked the egg yolk, then tempered it by adding a little at a time into the hot soup, whisking in between until the yolk was hot enough, then whisked all of it into the soup. Then I stirred in the cream. It tastes fabulous! It’s extremely creamy and rich even though there’s only 1 cup of cream for the entire pot of soup, I think because of the rice and almonds that thickened it. The meat flavor and the almond flavor both come through. It’s extremely elegant as a cream soup—it deserves fine china and silver cutlery. I had saved the meat, veggies, and rice because I couldn’t bear to throw them away. I stripped the meat off the bones and shredded it. Then I added it all back to the soup to make it more stew-y and significantly less elegant. Mr. Darcy would be appalled, but Captain Caffeine was pleased by the result. This would have been an expensive soup in Jane Austen’s day, because of the amount of meat in it. And there isn’t even meat in the soup itself! It was a bit pricey even for today. It was also rather tedious to make. Next time, I think I would instead make stock using my pressure cooker. I’d put in chicken bones instead of the raw chicken pieces. I might still use beef shanks because of the exposed marrow, plus they weren’t very expensive since there’s hardly any meat on them. I’d probably stick everything in the pressure cooker except for the almonds, cream, and egg, but I’m not sure if my pot would hold everything so I might have to quarter the recipe in terms of the amounts of the other ingredients. Then after cooking, I’d continue the rest of the recipe. Or if I can’t fit everything into the pressure cooker, I might simply make broth in the pressure cooker with just the beef and chicken bones, then simmer the clear stock with the other ingredients—but for considerably less time—and then continue with the almonds, egg yolk and cream. Also, I think instead of cream I’d use whole milk, which would make it less rich and decadent and be a little cheaper. 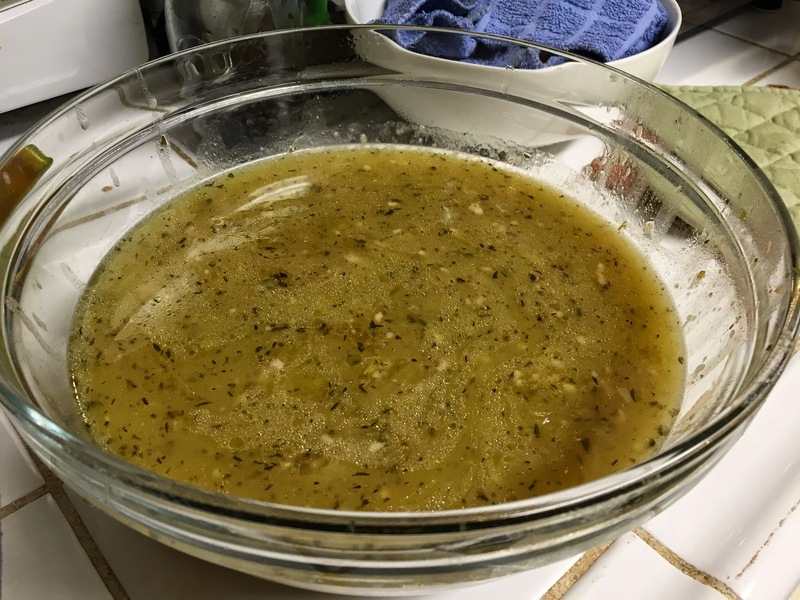 You could probably just get packaged beef broth and packaged chicken broth, mix them in a pot, and simmer the other ingredients (sans the chicken and beef since you already have broth). Then continue the recipe as written, but reduce the amount of time you simmer it. Oh and hey, I just thought of something. Instead of the ground almonds, you could probably add almond milk instead. What do you think? 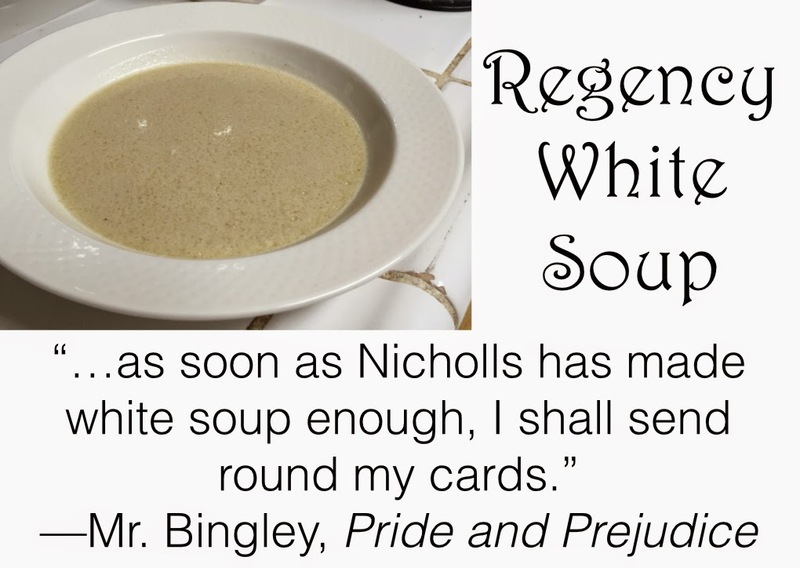 Would you make “white soup” like Mr. Bingley? 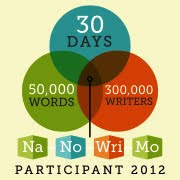 This shows you are a serious reader, lol. 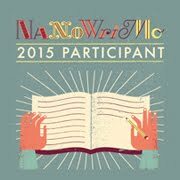 Cool project.